This is the third in a series of five posts on Open Source in Software Procurement. Click here for the prior post, and click here for the intro, which lists all five topics. 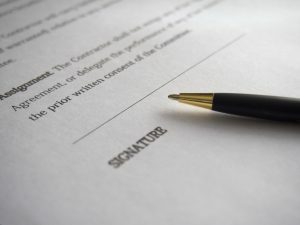 For a licensee planning to redistribute its vendor’s software, the best protection is an open source warranty that specifically addresses copyleft. 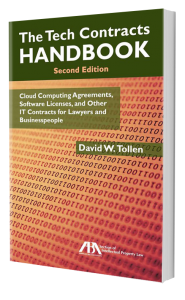 Here’s the language suggested in The Tech Contracts Handbook: “Vendor represents and warrants that the Licensed Program does not include software subject to any legal requirement that would restrict Licensee’s right to distribute or otherwise provide the Licensed Program, or any modification thereof: (a) for a fee, (b) with or without source code or source code rights, or (c) with such restrictions as Licensee sees fit to place on its customers’ modification or distribution rights.” That addresses copyleft head-on. But don’t panic if you’ve already executed licenses without that language. Typical IP warranties arguably forbid copyleft software too, even without copyleft-specific terms. For instance, here’s the generic IP warranty from The Tech Contracts Handbook: “Vendor represents and warrants … that it has and will maintain the full power and authority to grant the intellectual property and other rights granted in this Agreement without the further consent of any third party.” How does that address copyleft? If the contract grants the right to redistribute the vendor’s software — without the open source model — then by including copyleft software in its product, the vendor breaches that warranty. That’s because the vendor would not then have authority to grant the full IP rights listed in the contract. The typical IP warranty isn’t as clear as the copyleft-specific version above, but in many cases, it should do the trick. An open source warranty, however, is only the first hurdle. The licensee also needs to think through its remedies. For breach of an IP warranty, the vendor usually promises (1) to replace the infringing software, (2) to get a license so the licensee can keep using/distributing it, or (3) to refund the licensee’s money (“replace, license, or refund”). In most cases, the licensee gets no other remedies. But if a copyleft problem really blows up in the licensee’s face, those remedies might not be enough. What if a court orders the licensee to stop distributing its own product until it removes the copyleft code? What if removing that code requires massive re-engineering? The loss of business and engineering costs could be staggering. 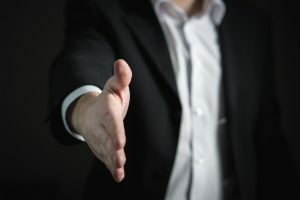 If the vendor won’t go for that, the licensee can try a compromise: remove the limit on consequential damages but keep the dollar cap, though with a higher figure.